The human race is about 200,000 years old. 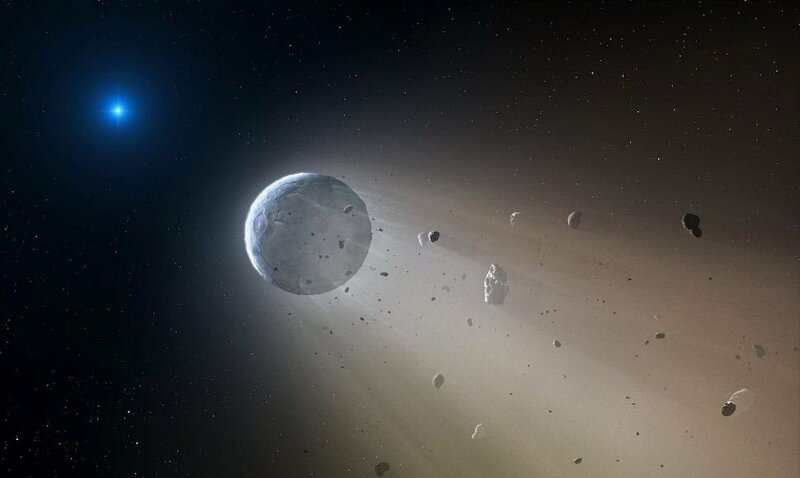 According to the records — and as fate would have it — on one orbital pass, Nibiru came in so close that one of its moons struck Tiamat (our Earth) and tore about half of it off — just ripped this planet right in half. According to the Sumerian records, this big chunk of Tiamat, along with her major moon, got knocked off course, went into orbit between Venus and Mars, and became Earth as we now know it. The other chunk broke into a million pieces and became what the Sumerian records call the "hammered bracelet," which we call the asteroid belt between Mars and Jupiter. 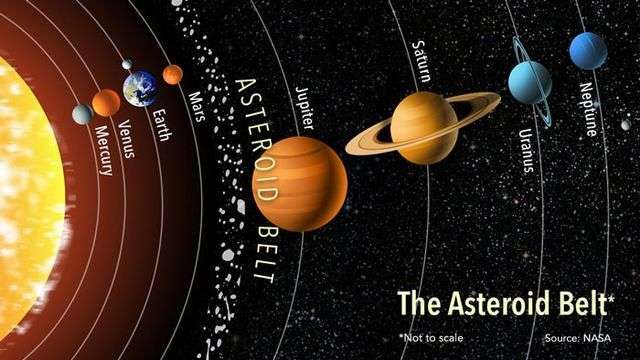 How did they know about the asteroid belt, because you can’t see it with your eyes from Earth. Sumerian writings speak of the days when heaven and earth were created. The writings talk about the Anunnaki gods being born and the lesser Anunnaki being charged with the work to shape the land, canals and building structures. The greater Anunnaki ruled over the lesser. The lesser Anunnaki became resentful of their Anunnaki superiors and demanded Enki, the great ruling Anunnaki god, create others to do this work. The Anunnaki awakened Enki from his subterranean, underwater habitat. He was in what could be described today as a state of suspended animation. 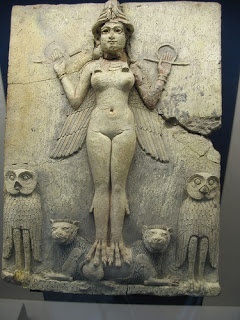 Enki and his wife, Ninmah, created humans to be the slaves of the Anunnaki. The humans were to take the place of the lesser Anunnaki who were tired of bearing the burden of hard labor. Gold is a valuable element and feeds the Anunnaki, and this valuation was passed to us and still exists today. That was our only purpose. And when they mined all the gold they needed to save their own planet, their intention was to destroy our race and leave. They weren’t even going to allow us to live. "That can’t be us; we’re too noble for something like that." But that is what the oldest written records on Earth state to be the truth. Remember, Sumerian is the oldest known language in the world, older by far than works such as the Holy Bible and the Koran. It now appears that the Holy Bible was birthed out of the ashes of Sumer. The texts chronicle the Anunnaki’s genetic experimentations as they engineered the first humans. The texts write about six attempts and how the first five were failures for various reasons ranging from deformities to androgynous life forms. Finally, the sixth was successful and insemination was used to produce the first humans from this humanoid creation. Ninmah was the original scientist trying to engineer humans. After her multiple failures she became frustrated and asked Enki to take over the development. Each of these genetic failures was kept alive and cared for in the manner it required. This shows the benevolent nature of these advanced beings. Writings later reference the “black headed ones” whom the Anunnaki ruled. This is obviously a reference to early black skinned people who were likely the first mass-procreated creations of the Anunnaki. The reference to their color implies the Anunnaki were not black (otherwise, why call out the color?). But, no other skin color is described. Some theorize this genetic development took place in what the Hebrew and Christian Bible call the Garden of Eden and that Adam and Eve were the first two creations that were used to procreate humanity. The garden may have been a biosphere where the genetically engineered humanoids would be nurtured and studied–determining what needed to be improved upon. The obvious implication is that the Genesis stories of creation are actually rooted in Sumerian history and the Annuna (Annunaki). Sumerians and the Egyptians emerged onto the surface of the Earth at almost the same moment, complete, whole and perfect — with their language totally intact, with all their skills and understanding and knowledge, with almost no evolution prior to that time (at least none that science knows of). They simply appeared at one moment in history in their most perfect state. The writing that came out at that moment was extremely sophisticated and clear and has never been improved on since. 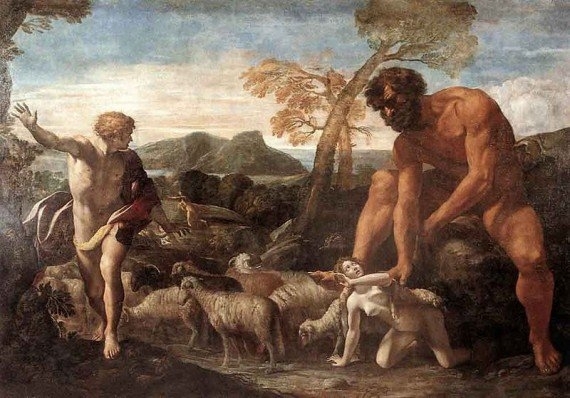 The Nephilim and the Sirians, our mother and father, kept their fields alive. I don’t know where the Nephilim retreated to within this planet’s dimensional worlds, but the Sirians remained in the Halls of Amenti, inside the Inner Earth. Both of these groups are still here on the planet, hidden within the dimensional worlds. The final band, the perfected human, is between 50 and 60 feet tall. They have 52 chromosomes. I suspect that the reason there are 52 cards in a deck is related to those 52 chromosomes of the potential of man. We went through a mutation — we had a chromosome breakage, you might say. So the Earth has been on red alert for almost 13,000 years, and many beings and levels of consciousness have been working together to figure out how to get us back onto the path (DNA) where we were before. every single cell in your body dies within a five- to seven- year period and is replaced with a new one, except for the original eight cells. They remain alive from the time you’re conceived until the time you die and leave the body. The process of ascension involves raising the particle pulsation rhythm of the body, allowing the body to absorb higher frequency into its morphogenetic field and therefore increasing its frequency. The ascension process will help wake up many people who are still spiritually asleep. The time frame for ascension is between 2012-2017. During this process, time will feel like it is speeding up faster than when it first started speeding up in the 1980s. After 2017, time should start to feel normal again. If we, the human race, can raise our frequency to the required level by the end of 2017, we will be able to take the path of ascension. Therefore, for the next few thousand years, our civilization will experience many amazing changes. However, if we fail to raise our frequency to the required level, we won’t be able to graduate and experience those amazing benefits of ascension. The first steps to release the soul is the understanding of why the soul came here in the first place, to release old ties. The most important lesson to learn while living in a physical body was that we are able to manipulate energy. Once you can do that we can create anything we desire. We need to help others consciously evolve.